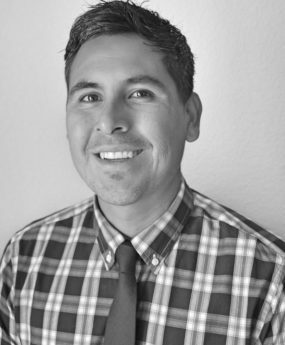 Alfonso Motagalvan was born in Santa Rosa but grew up in Gilroy, California, and is one of six children. His four sisters live in Gilory. His parents and brother live in Veracruz, Mexico. He is bilingual; speaking English and Spanish. He attended Gilroy High School where he was a two-time National Soccer Coaches Association of America /Adidas All-American. He played at Santa Clara Sporting Ruckus, The Region IV Olympic Development Team and Super Y-League Select National Team. Alfonso played all four years of college at the University of California Santa Barbara where he was an instrumental part of the Gaucho’s run to the 2006 NCAA Division I title. During his college years, he also played for Ventura County Fusion in the USL Premier Development League, scoring the winning goal in the 2009 PDL Championship Game. Alfonso made his USL debut in 2010 with the Rochester Rhinos. He continued his professional career with the Fort Lauderdale Strikers, Pittsburgh Riverhounds, and most recently with the Sacramento Republic FC. He retired in 2016. Alfonso has played all over the country as well as in Germany and Argentina. In Pittsburgh Alfonso met his wife Kristen. She is an ICU nurse at UC Davis Hospital. While playing for Sac Republic, they decided to buy a house and call Sacramento home. Kristen and Alfonso recently welcomed a baby boy, Liam Matteo, into to the world. They have two dogs who love to go for runs and go swimming in the river. Alfonso and his wife spend most nights at home with their baby enjoying a glass of wine, cooking, and playing cards. Together they enjoy doing home improvement projects. In the summer they love to spend time in their garden where they grow a lot of their own vegetables. While still playing Alfonso was able to obtain his USSF National B License. Since retiring from the game he currently coaches at San Juan Soccer Club in Rancho Cordova and is a volunteer assistant coach at Folsom Lake City College. After he received his real estate license, Alfonso called Nick. He helped them buy their first home and was someone who inspired Alfonso to get his license. Nick asked Alfonso to join his team at Nick Sadek Sotheby’s and without hesitation, Alfonso graciously accepted. Not only is Nick’s career inspiring but he cares about his clients and team putting them first before anything. I am excited to be part of this team and look forward to this new journey in my career with Nick Sadek Sotheby’s International Realty.